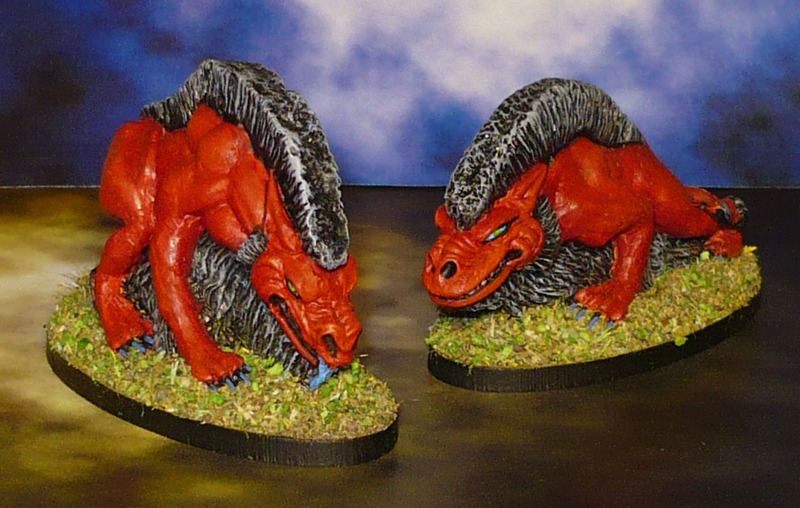 This pair of demon dogs have been half-painted for something like 15 years or so. They have been lying about in a box until I found them the other day. I have based them and finished them off, keeping to the same colour scheme as I used for a unit many, many moons ago. Not great, but serviceble for the tabletop. PreviousSpiders! Get them off me!